Bonjour lecteurs! 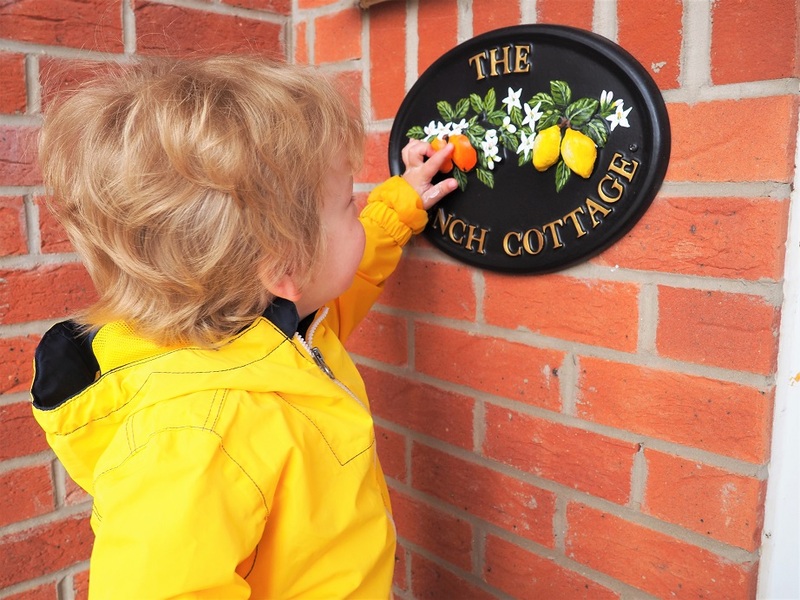 Loving your house and wanting to personalise it a bit? Or fancying something new? Since we moved into our new place, I have been really busy turning it into our home. We upgraded Baba’s nursery with some new cool items. But since I was in my early twenties, I always wanted something totally unique. A name for our house! 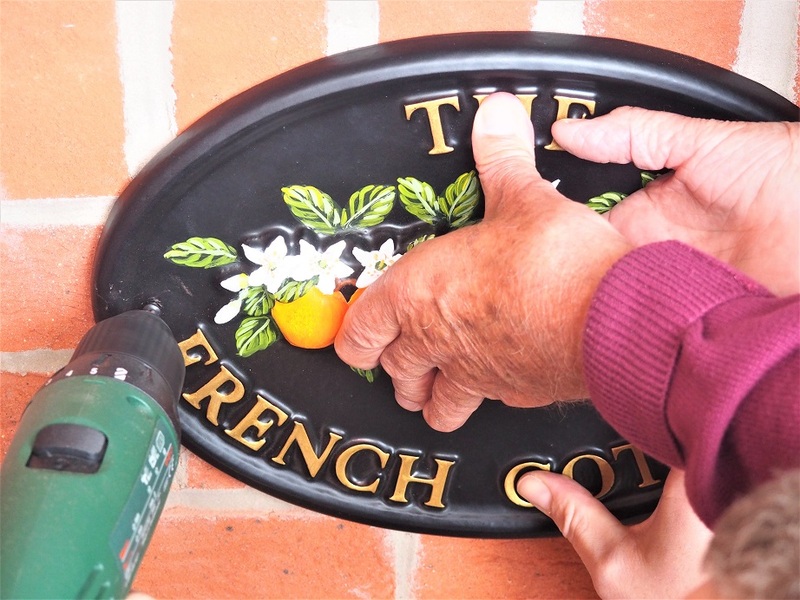 In our Village Green House Sign Review, I explain how it all became réalité. Not sure you need once in your life? Think twice! 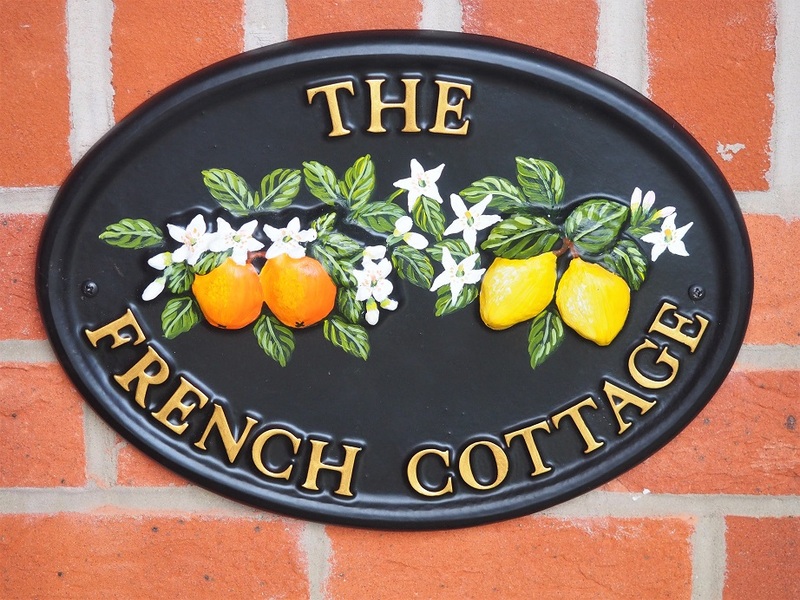 Village Green House Signs offers a large choice of house signs. Each item is made to order so that you have something totally unique. I love l’idée to have something that nobody else has! Plus there are so many designs and each sign is hand-painted! Cast in resin, it can add so much grace or this je-ne-sais-quoi to your home for a lifetime! I came up with the name ages ago, well before I met Grumpy Boyfriend. The French Cottage! That was the name of my dreams! Bien sûr, we are not living in a cottage but I find the sound of it so CUTE!!!! Isn’t? Once I convinced Grumpy Boyfriend (ok, I admit I might have forced it a bit on him… But it is not like I asked to call our house The Frenchie House, right? I think that I would have been a bit too far, non? ), I started browsing the brand’s website. I first wanted some animals on our sign but then settled down for the Orange & Lemons oval version. Our new decoration arrived quickly and I immediately loved it! I was really impressed with its size when it arrives! It looks very stylish but also quite big (35cmx 25cm). At a retail price of £118, it is clear that it has been made with care. Each feature is hand-painted. It is truly a good example of excellent craftsmanship. After quite a debate to decide where to put it, we decided to place it right next to the door so that our guests can see who is the boss in the house 🙂 Only joking! With Grumpy Boyfriend, we are a team! But let’s be honest, I am the one with the good ideas, right? Easy to install! I let the men do the work as I was busy taking pictures… Someone had to do it! The house sign is very facile to install. All you need is a drill and it can be done in less than 10 minutes! See my man in action doing his monthly bit of DIY in pictures with the help of his dad? It looks very pretty! I really love it and every single day reminds me of how cute our house is with just this (not so) little detail! At a cost of £118, it might seem quite an investment but it is really worth it! I love our Village Green House Sign! It is made with taste and so unique! If you don’t have such a budget or want something smaller to spice up a bit the front of your house, the brand has something for everyone and prices start from £14! I say you should not miss on such a cute way to make your house your home! Because it matters! 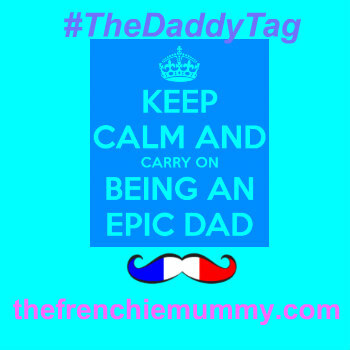 Plus, Father’s Day approaching, I think it would make a great present if your papa is proud of his place! Or if you don’t really know what to get him because he has it all! Whatever your raison, you will not regret it. Village Green House Signs are very pretty and of excellent quality! 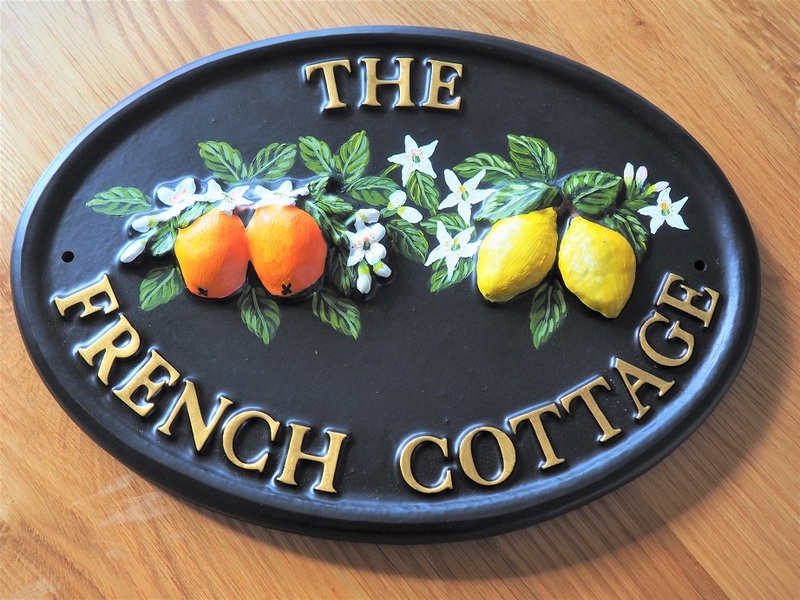 Thanks for reading our very Frenchie Village Green House Sign Review! I hope I inspired you to get one for your own place! 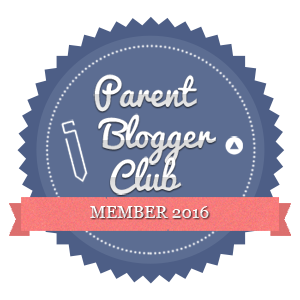 See you soon for more cute reviews and Frenchie adventures! Disclosure: I received for free the house sign included in this post. All opinions remain my own. Ahhh this is so lovely I’ve always wondered where people get these lovely country cottage signs from now I know – I would love one of these for our house! What a gorgeous sign! Love the design! such a pretty design , will enhance your entrance no end! The sign puts such a personal touch to the cottage! I believe it’s all in the detail! What a lovely house sign! I have a similar metal house sign outside my house that says “our house” in Spanish….it was up when we moved in and we like it so have left it ? Wow this looks so wonderful, what a nice idea to name your house. A lovely way to make your house stand out, thanks for the article. Lovely…don’t think it would quite go with my flat though! That sign looks so pretty what a great choice! We don’t have a house name just a number but you have made me want to invest in a sign now! We need something like this, delivery / takeaway people can never find us! Lovely colours and design – it will make your visitors feel very welcome! I love the signs, very unique!